The 10th: the house of achievement and fulfillment in one’s life. The true vocation — not the job; that’s the 6th house. I was just about to think that the Moon in the 10th house has nothing to do with anything occurring in my life right now–when duhhh! How obvious could it be? Let me explain. When the Moon transits the 10th house it hits the emotional psyche or the part of us that relates to what we do here! Our work, our career, our cosmic job description! The 10th is ruled by Saturn/Capricorn which relates to “society”, the public. You know this, right? That you can sell shoes and still be doing your cosmic job description, right? I mean we do what we came here to do no matter what our J.O.B. happens to be and we do it whether we can help it or not really. Anyway, how could I not get such an obvious connection with my life right now? Today I’ve been revisiting/evaluating my prior job experiences, my writing work and some other things (details not as important as the archetype meaning that I’m getting at here). Career and how we are viewed by the public and how we view our own role in the world–that’s the 10th house. Its what and how we are doing what we are here to do. Well, you get the idea. It’s the authority connection to–the 10th. Saturn links to “the boss” or the conventional authority figure and often that archetype relates to “father” or “dad” which is another connection that Saturn /Capricorn have as far as archetype meanings. Do I want to change it up, mix it up, flip it or turn it all around. Do the Hokey Pokey shake it all around? Those topics, that subject, has been dancing around in my heart the past few days, especially today. Psychic work, astrology work, writing the novel and being of service to the world in the ways that I know how to. I’ve been thinking about how I see myself in the world and evaluating my ability to be of service in other ways today. And actually that’s right on time with a Moon transiting in the 10th house of career and the public image. The opposite polarity, the 4th house, relates to self-image while the 10th relates to public image. My entire day today was consumed with these thoughts and actions–thus the earlier duhh! 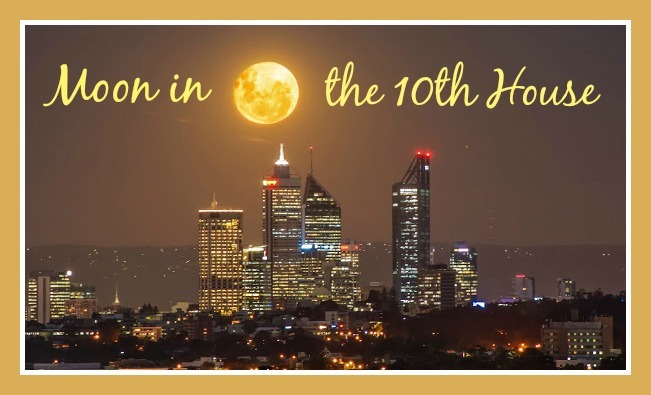 How could I not realize this connection right off–it took me a few minutes thinking well, the 10th house Moon has nothing to do with ‘me’ right now. Nothing could be further from the truth. Okay. What about you? Generally speaking when the Moon transits the 10th house it is time to dedicate yourself to getting ahead in the world, either in your current career or setting things in motion toward your ultimate goals. Authority of any kind can be an issue, either your own authority in the world or that of your boss or parents. The soul’s wish to leave a mark in the world to bear fruit in the community somehow in a meaningful way would be triggered emotionally when the Moon moves through the 10th. Issues of social ambiance can trigger the emotion too. 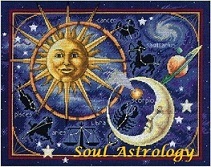 The Moon is sensitive to issues of social atmosphere in the 10th house. Do you think this fits? My sister just asked me if our other sister could come here at Thanksgiving. More the merrier? Not in this case! A religious nut and a Psychic in the same house? Use your imagination. Talk about right on time too– a great example of Luna transiting the 10th! Thanks to the Angels for that great example actually. Our sense of life mission will be prominent in our heart when the Moon moves through the 10th. We may feel that our emotional needs involve stepping outside of a “job description” to more of a calling instead. We may, at this time, struggle with whether or not we are going to accept any kind of social external definition of our identity and we may be emotionally challenged to align the external sense of self with our internal. Responsibility is also an archetype here. Some days I do not have a client to work with but I still work. I blog or use that day to write the weekly newsletter or work on my writing project–my “someday it’s going to be a novel”. I make myself accountable or responsible to offer something to the community at large whether it is always noted or acknowledged doesn’t matter. Any writer writes because they have to. People who are ingrained in the standards of society don’t always understand this and this is what I mean by external and internal self worth. Do I measure my worth in the world against my bank account? That’s a great 10th house Lunar transit question. And its a bit harder to grapple with when the Moon is here–the emotions they can clobber you about that if you’re not careful and aware. The 10th, you see, is about standing alone just like the planet Saturn that rules here does. And it can be lonely sometimes when those “You and Me against the World” feelings kick up. Remember that song? Responsibilities to pay those bills can grow and loom large when the Moon moves through here too–any responsibilities for that matter take an emotional hit from the Moon. But the emotional triggers can help to make changes where those are necessary. Everything happens for a reason and it’s not circumstances that upset a us, it’s the view we take of them as someone smart once said. advantage or at least the more equipped you are to understand yourself. And if you know when the Moon is moving through someone else’s 10th house, that helps too.